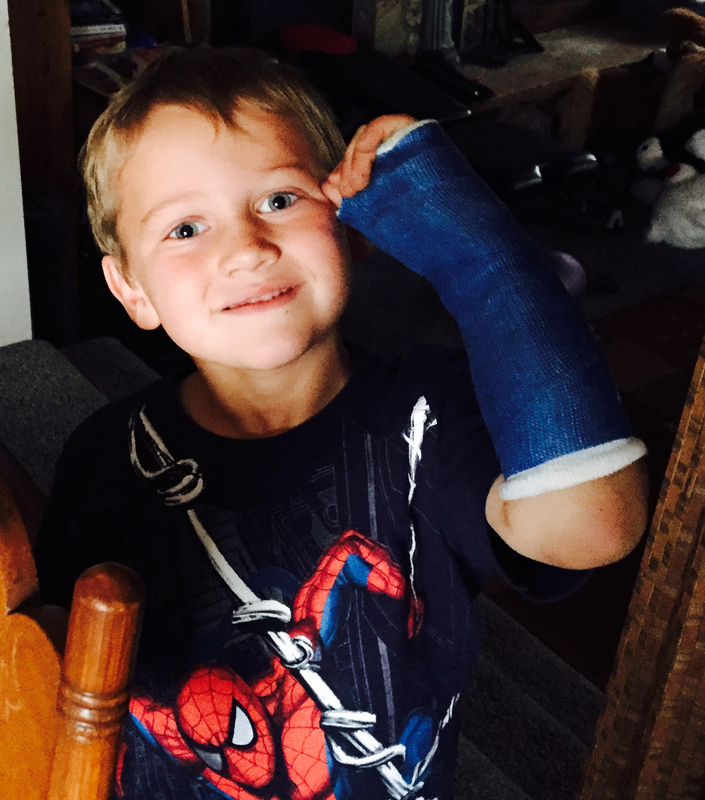 This is the third young man I know that broke his arm this week in school. one tripped over his desk leg, fell and broke his arm and thumb. Nope–McCoy fell off the monkey bars right here in the yard, after surviving a summer on horseback unscathed. Oh No McCoy! After all those miles horseback and the face plant in the wranglin pasture and the doc had to fix a monkey bar wreck. Kinda messed up the braggin rights, huh? Get better, buddy.